Full line up announced for Paisley Takeover festival! Out Lines, Heir of the Cursed and Emme Woods set to perform at SAMAs Paisley takeover festival as full programme announced! The Friday night line-up of SAMAs Paisley takeover festival on the 2rd March will feature Heir of the Cursed and headliners Out Lines. Heir of the Cursed is a wildly breathtaking solo musician and poet who commands a magnetising blend of calming instrumentals and vocal stylings with her lyrical retellings of the subtleties of life in Glasgow. 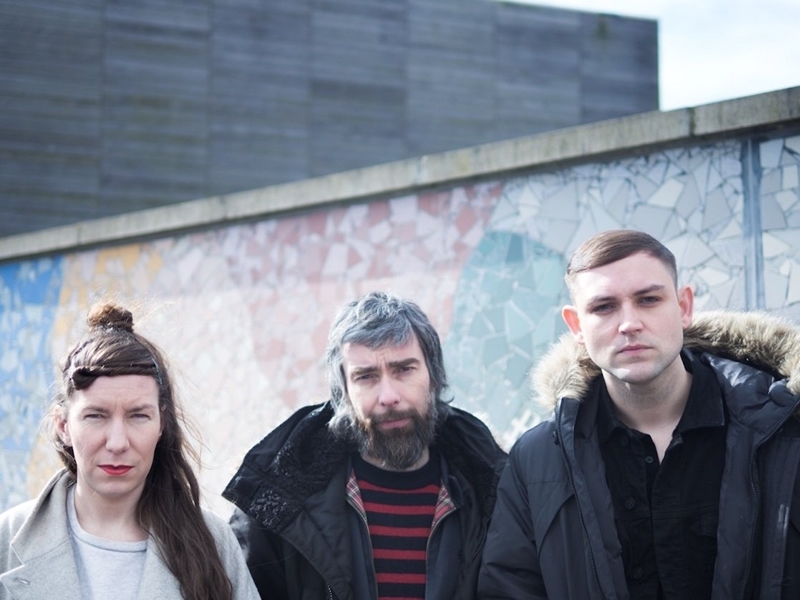 Following a sold out set for Celtic Connections and UK tour with Mogwai, headliners Out Lines are a fusion of three powerhouses in Scottish music: Scottish Album Of The Year award winning singer-songwriter Kathryn Joseph, The Twilight Sad’s James Graham as well as producer Marcus Mackay. Having released their debut album ‘Conflats’ towards the end of 2017 amid much acclaim, this dynamic trio will be sure to lure in a Paisley crowd with a strikingly defiant live-set. Also announced are the remainder of the weekends events including an intimate live in-store session at record shop Feel The Groove with Emme Woods, ahead of her SXSW debut. This intimate setting will match well with the musician's brooding vocal to make for an unmissable set, as well as spoken word on the Friday evening from local wordsmith’s Robert Blair and Shaun Moore. Saturday's afternoon of seminars will begin with How to do DIY in 2018? Featuring Ian Crawford of El Rancho Records plus J-Bone promoter Alana Hepburn and Conor Goldie of Public Records. Followed by When is the best time to showcase your band on a national level? which will feature artist manager and promoter Nicky Carder, Nadine Walker of Tenement TV and Broadcaster Jim Gellatly. This will culminate with a special “In Conversation” segment hosted by Vic Galloway and feature former Simple Minds manager and ex Record Store owner Bruce Findlay discussing his inspiring career in the music business. Already announced are The Vegan Leather who are hosting their own music workshop and Q&A, plus live set’s from Siobhan Wilson, SWAY and Saturday headliners Pronto Mama. The Scottish Alternative Music Awards Paisley Takeover Festival is funded by Renfrewshire's Culture, Heritage and Events Fund, part of the legacy of Paisley's bid to be UK City of Culture 2021, and ran in association with Paisley Arts Centre.